Before joining ASQ, I spent my entire career in the U.S. Army. As you may guess, strategy was an essential part of my education. I was fortunate to attend the British Army Staff College and the Naval War College, the Army having given up educating me at an early age. I had the chance to help develop and implement strategy at several stages in my career. 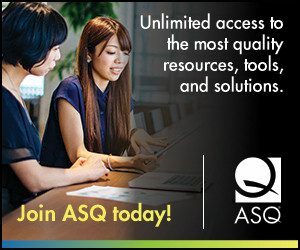 In recent months I have had the opportunity to work with the ASQ Strategic Planning Committee and see how the board and the staff work together to develop ASQ’s strategy. I have been impressed by the passion, openness, and collaboration that characterized our process. I am someone who loves the study of strategy and I firmly believe that the underlying principles of strategy apply to almost any field of endeavor, whether you’re working in a corporation, a nonprofit, a small business, an NGO, an educational institution, healthcare–you name it. The purpose of strategy, after all, is to answer this question: How do you get from where you are to where you want to be? What is your path? How are you going to get there, what steps do you need to take, and in what order? This month, I’d like to offer five key questions about strategy that you may find useful as you work on your own strategic planning. These principles served me well when I was in uniform, and I think they will serve ASQ well now. One caveat: Determine how much time you have to spend on strategy and act accordingly. We all must get things done, so we must not fall to “paralysis by analysis.” We can only admire the problem for so long. A good rule of thumb many of us learned in the military is the one-third, two-thirds rule. Each level of command (or management) takes one-third of the allotted planning time and leaves two-thirds to their subordinates. If each level of command disciplines itself to that standard, there will be a fair allocation of planning time for everyone. 1. What are your key facts and assumptions? All strategies are based on certain essential facts and assumptions. My suggestion: Write down your facts and assumptions. Having them in your head isn’t enough. Expose them to the scrutiny of your boss and your colleagues. If one of your key assumptions is the availability of a certain material, is it safe to assume it will be available to you at the price and in the quantity you need? Finally, be especially aware of hidden assumptions—these are dangerous. It’s an assumption you may take as a given, but, in fact, it may not be. 2. What is your theory of victory? That is a way of saying, okay, let’s say you can accomplish all the components of your strategy- will it get you to where you want to go? There are many examples of both nations and corporations successfully accomplishing the vital aspects of their strategy only to find their theory about where it would get them was fundamentally flawed. 3. Can you actually accomplish each aspect of your strategy? I call this the feasibility test. Something in your strategy may sound good, “be first to market,” or “cut our price by 50%,” but can you actually do it? If the honest answer is no, it cannot be part of your strategy. 4. Is your organization doing things that sit outside your strategy? These things may be good to do, but if they seem to be outside your strategy you should question them. They are consuming resources – time, people, and money–, but you are not balancing their cost and benefit compared to the rest of your strategy. I am very suspicious of activities that seem to be outside my strategic framework. 5. Have you left enough planning time to test your strategy? You must test your strategy before you deploy it. The testing might be as sophisticated as thousands of computer-run simulations or it may be as simple as a bunch of your best staff people sitting around a table trying to poke holes in your strategy. Ask others, especially other leaders, for feedback on your strategy before it’s finalized and presented. I have learned that an 80% solution that has been tested can often be quickly improved and you will be far better off than a more polished product that is deployed with little or no testing. That’s my approach to strategy. What’s your approach–in your organization, your business, your professional association, or even in your personal life? Excellent article. Simple, focussed, pragmatic. If only companies keep their approach so simple. But as they say it is much more difficult to keep things simple than to develop a complex strategy which is way beyond understanding of most employees. As 2105 incoming Chair of ASQ’s Board of Directors, it is a privilege to have you as our new CEO. 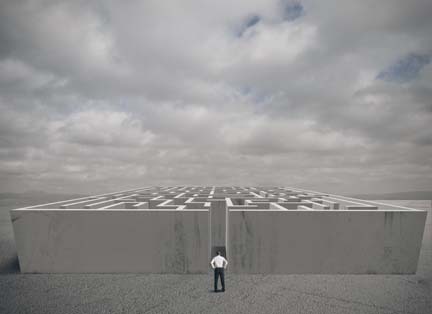 I would add one comment to embellish your five excellent points: once strategy is mapped out – our Board and ASQ Leadership must clearly and transparently communicate the strategy – the “what” and the “why”. Every member of the ASQ Community should know where our great Society is headed. We need everyone engaged, knowing how they fit in, understanding how critical they are, in helping us achieve our mission and vision, as we help them fulfil their goals as leaders of quality. Hi Cecilia. Thanks for your comment! Good insight into Strategy, worth considering. Simple but effective. I have on my plans for 2015 start a Masters Degree on Strategic Quality Management. I have been asked what does that work for? I think I´ll start using this article to provide an answer to my friends :). Thank you very much Bill, I´m new to knowing you are our ASQ CEO, and I´m already quite into your articles. I´ll look forward to reading more from you. Previous Previous post: August Roundup: What's The Future of Quality?